Travel should excite all the senses. That’s the lesson my thirteen-year-old self took back to England from my first family holiday abroad in Tangier, Morocco. A port town in the north of Morocco, the once international zone of Tangier is separated from Europe by twenty miles of the Strait of Gibraltar. Its location explains the cosmopolitan feel that Tangier had to my teenage self. The ambience permeated my skin, coated me whilst I walked with my parents, younger brother and our local guide, through the medina. Visitors are drawn to Tangier because of its literary and artistic past coupled with its mysterious reputation as an international haven for spies. 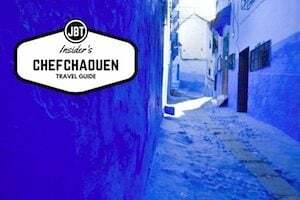 Tangier became a mecca for French painters in the nineteenth century, but the most famous artist associated with Tangier is the American writer Paul Bowles, whose first novel, The Sheltering Sky, was turned into a film by Bernardo Bertolucci. However, Beat writer William Burroughs also lived in Tangier during the 1950s and penned his most famous work, Naked Lunch, in the Hotel el-Muniria. Tennessee Williams, Allen Ginsberg, Jack Kerouac, Brion Gysin and the Rolling Stones also called Tangier home for short spells. After a stroll through the Grand Socco, the plaza that serves as the gateway to Tangier´s medina, you can start your homage to your favorite artists at the Gran Café de Paris in the old medina’s busy central square, the Petit Socco. Bowles, Burroughs and their Beat friends gathered here to discuss life and literature while mingling among double agents and expats during the notorious time of international rule. Here, Tennessee Williams met one of Morocco’s most famous writers, Mohamed Choukri, author of a memoir titled Tennessee Williams in Tangier. The café provides an ideal place to observe the chaotic rhythms of the Petit Socco, where you can find people from all walks of life, rich and poor, foreign and local, merchants and businessmen. 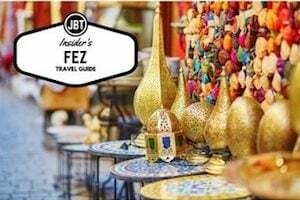 The short ferry ride from Europe to Tangier has made this port city a popular entry point to the country and a convenient base for exploring northern Morocco. 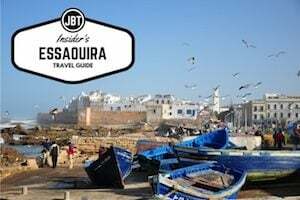 During a day trip from Tangier you can drive along the Mediterranean coast or the Atlantic coast. 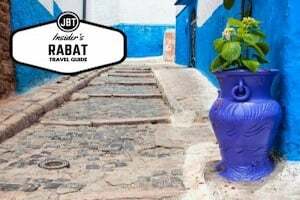 With ancient Berber, Phoenician and Carthaginian roots dating back to the fifth century B.C.E., Tangier is one of Morocco’s largest northern cities. 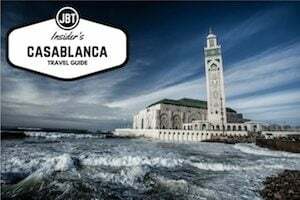 Situated on the North African coast adjacent to the Strait of Gibraltar where the Mediterranean Sea meets the Atlantic Ocean, it is a multi-cultural hub where Muslim, Christian and Jewish communities co-mingle. The city is also the capital of the Tangier-Tétouan region and of the Tangier-Assilah Prefecture. During the first half of the twentieth century the city was a popular Mediterranean resort destination. It has been the home to an eclectic mix of expatriates, exiles and refugees and was visited by Tennessee Williams, Jack Kerouac, William S. Burroughs and other literary figures. It was also frequented by artists like Delacroix and Matisse. In addition to being a romantic destination for artistic types, Tangier is a city haunted by a decadent past where drugs and prostitution figured prominently in its background. Tangier, as it is called today, has been under Roman rule, in first Century BCE. Along came the Vandals, who started their move across Africa from here. Between the fourth and fifth centuries, Tangier was part of the Byzantine Emipire. The Arabs arrived in the early 700s. Portuguese laid claim to the area in late 1400s. Spain and Portugal held Tangier together for about 60 years, becoming Portuguese again in the mid 1600s. Catherine of Braganza (Portugal) was to marry Charles II of England. Tangier was given to Charles as part of the Princess’ dowry. 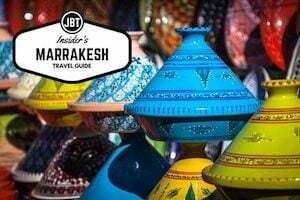 You can read more about this northern port city on our Tangier guide written by our local expert writer. The British ruled the city until Sultan Moulay Ismail imposed a blockade which forced the British to withdraw. Upon leaving, the British destroyed the city and its port. Although partially reconstructed, the city declined to around 5000 people in early 1800s. Because of its geographic location, many European countries have vied for control. France was the most influential when the Kaiser of Germany said he was in favor of Morocco remaining a free country. This nearly triggered a war between France and Germany. Morocco was divided between France and Spain. Tangier. In the 1920s, Tangier became a international zone, held by France, Spain, Britain and Italy until World War II. Spain held control of Tangier until Morocco gained its independence. She was reunited with the rest of the country. Tangier has a checkered past. Once known as a safe haven for international spies and a meeting place for secret agents. Tangier is used as the location for many spy novels and movies. It, also, had quite a reputation as a smuggling center. Tangier attracted many artists such as Matisse and Tiffany. Authors like Choukri, native to the area, and Burroughs wrote about the city and surrounding area. Today, Tangier is the second industrial center in Morocco with its Tangier Free Zone. Construction should be completed by the end of 2008 on the second Tangier-Mediterranean port. Fishing and agriculture are two smaller industries adding to her economy. Tangier is connected to the rest of Morocco by rail and new expressways. Ibn Batouta International Airport is 15 kilometers from the city’s center. Even with all the modern industries, Tangier still has an old medina were artists ply their wares. Leather goods are the specialty along with traditional clothing, shoes, silver crafts and wood items. The entrance gate to the Medina is found near the Great Mosque and it connects with the beaches. Tourism is becoming an important industry with foreign investors building seaside resorts. <b>Cape Spartel</b>, the entrance to the Straits of Gilbralter, is nearby. Visitors go there to see the famous lighthouse as well as the coast of Europe from the African side. Tangier is a fast growing city population wise. In the last twenty years, population of the city has quadrupled.